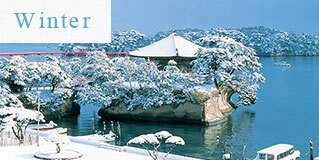 Welcome to Matsushima, one of the best 3 picturesque sites in Japan. 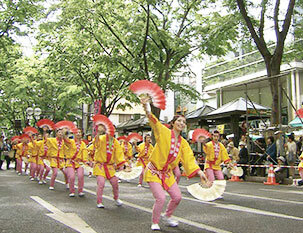 It is very popular among the tourists for the breath-taking seaside view and its historical heritages. 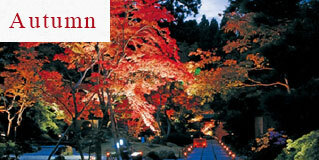 We have handpicked a few attractions to highlight. 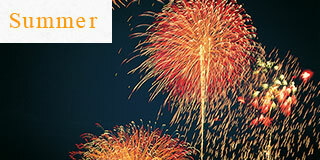 Please enjoy a day trip from our hotel! What to wear in each season? 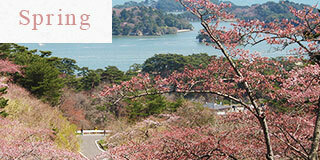 Located on the hill, it’s a great view point to overlook the Matsushima bay, with cherry blossoms in sight in the springtime. It is magnificent to see 260 cherry trees around the park in full bloom, making a vivid contrast of pink petals, the green grass, and the blue ocean. "It is said that there used to be 108 caves in this island, and you can take a look of the remaining of stone Buddha statures and stupas. There also used to be a little shrine called “Kenbutsu-do,” as know as a inner shrine of Zuigenji temple, where Kenbutsu Buddhist master recited through 60,000 books of sutra." 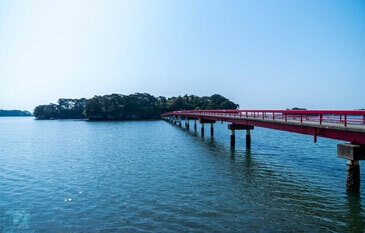 Fukuura island is connected to Matsushima beach by a 252 meter-long bright red bridge. It’s also known as “a meeting bridge,” where you may find a love of your life. 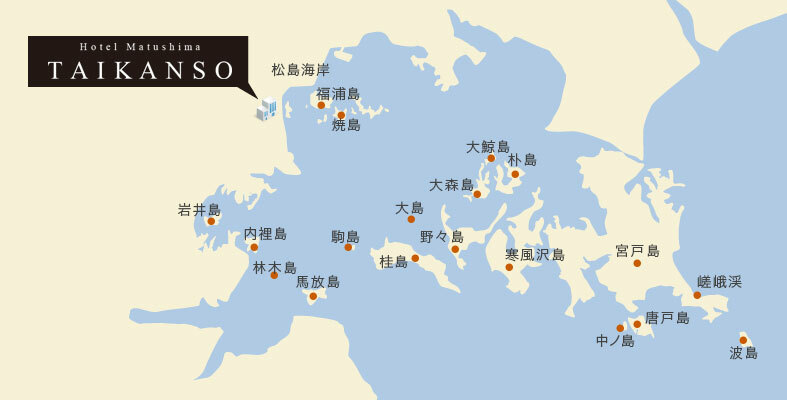 It’s a very tiny island of about 6 ha, but full of attractions such as Benten-do shrine, an observatory hill, and Tenjin-zaki cape. Visitors never fail to visit this shrine, but a couple may not want to, because the goddess of this shrine is so jealous as to break up happy lovers. This small country house was given by Toyotomi Hideyoshi, the tycoon at the time, to Masamune Date, the feudal lord in this region. Later, his son transferred it from the capital to his local residence. It was covered with the traditional hipped roof, which is registered as one of the cultural heritages in the region. 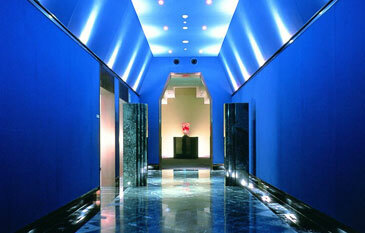 You’ll be also amazed with the pictures hung in the alcove or painted on the sliding doors. They’re registered as national cultural heritages. 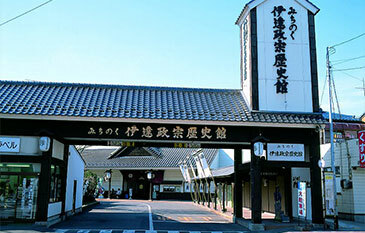 Inaugurated in 1984, this museum show you the dramatic and eventful life of the legendary lord, Masamune Date. About 200 waxed figures revive 25 historic moments vividly, such as the battle over the Hitotori bridge and his pilgrimage to the capital carrying a big cross on the back. Featuring on the glass, sea, and garden, this museum exhibits permanently around 100 pieces of glassware made by Mr. Fujita. This market is run by a fisherman who owns 7 tuna fishing boats in the region. That is why they are more than 1500 kinds of fishes and seafood here, delivered straight from the ports, so you can enjoy fresh and various tastes. In 807, the General Sakanoue Tamuramaro established a shrine dedicated to the God Bishamon, and installed 5 statures inside. Each of them represents a deity from every corner of the world; from the east, west, south, and north, along with the ultimate one. After those 5 deities, it’s called Godai-do, literally meaning 5 greatest. 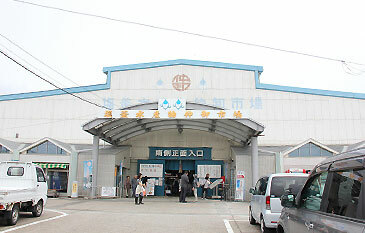 At Shiogama port, one of the most productive fishing port of tuna in Japan, you can enjoy a variety of fishes and seafood, served fresh on the spot. 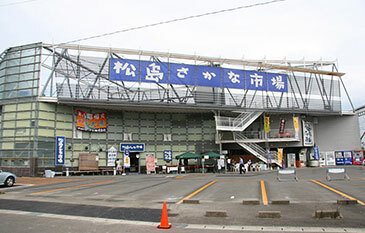 A special stage and a grand stand are to be installed at the festival venue, which stretches 200m long east from Sendai station, and it ends up with everyone dancing crazy, even spectators mingling together with the locals. This is the official website of the biggest Tanabata festival in Japan, which has been long-cherished since the days of Masamune Date. 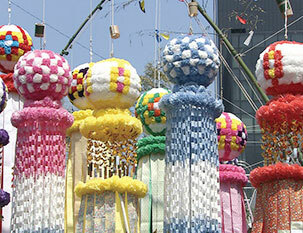 Useful information about the festival such as; how to make Tanabata ornaments, is posted for your convenience. 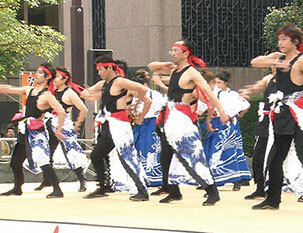 This active and dynamic festival invites everyone to dance in a free style, in a creative costumes. Only rules are to dance with a Naruko, a bamboo castanet in your hand and to adopt a verse of local folklore to the choreography. It was launched in 1998 with only 12 teams under the slogan “Tohoku United,” and since then, it has developed into a exciting event with more than 250 teams to perform. 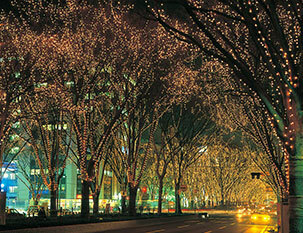 Jinzenji street, a main road through Sendai city, is to be sparkled with 600,000 of light bulbs. This year’s theme is “The light of love leading to the future.” With 160 maple trees filled with light will shine up the city, which will be such an overwhelming view. 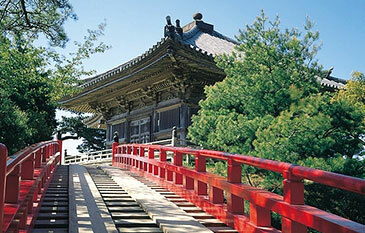 Take a closer look of the grandeur that Lord Masamune and the great poet Basho admired on the tourist boat. 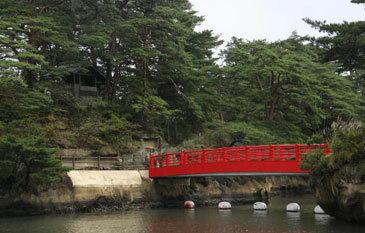 Matsushima tourist boat will take you around the bay sailing through more than 260 islands. Among many tour routes, more popular is the one between Matsushima and Shiogama, tracing Basho’s foot steps on his visit of this region. 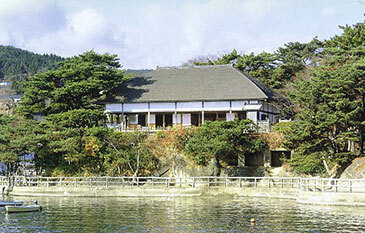 Take a boat for the tour in Matsushima! 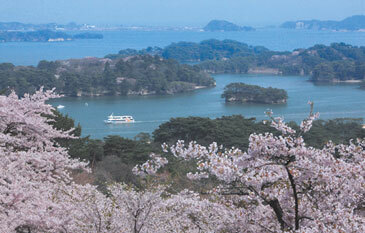 Set on the same journey with Basho, who passed by these islands on his way from Shiogama to Matsushima on the boat. You’ll be fully content with the impressive view which touched the poet’s heart. Here are the examples of outfits suitable for the climate of Matsuhsima.